If you wish to join our group "chat" please download the App, open it, and then send a message/text to 954-536-3286 (Maria) containing your full name. We have approximately 600 members, of which 110 use WhatsApp. Please download the app FIRST. American Airlines, Delta Air Lines, and Alaska Airlines were kind enough to donate tickets/miles. 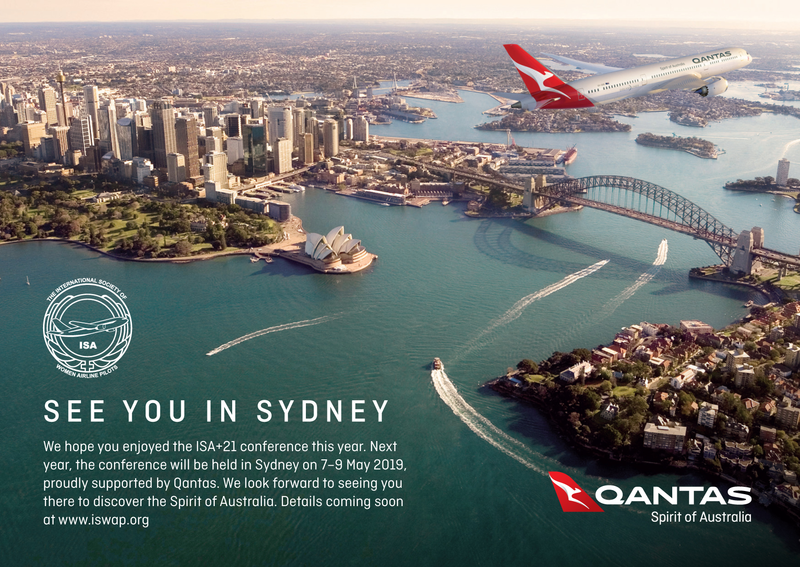 Qantas provided glasses and souvenirs in anticipation of 2019 in Sydney. And of course our members were more than generous, as they are every year with their donated items, as well as bidding high and often! We raised over $14,000 in Vegas 2018! 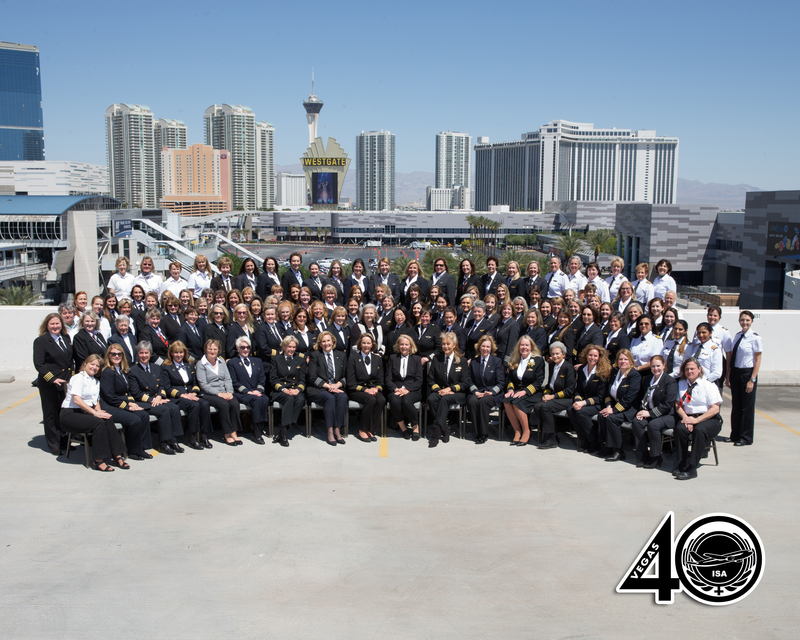 We had our 40th, 20th and our first ISA+21 conferences in Vegas! What great conferences we have had! Why have I attended so many conventions? Easy! I have made friends with women from around the world. Friendships that will last a lifetime! Did I mention I love adventure too? And oh, the adventures we have had! Elephant riding in Thailand, jungle walks in Costa Rica, wonderful adventures all. 1988 Rome: meeting this marvelous group of accomplished women for the first time. 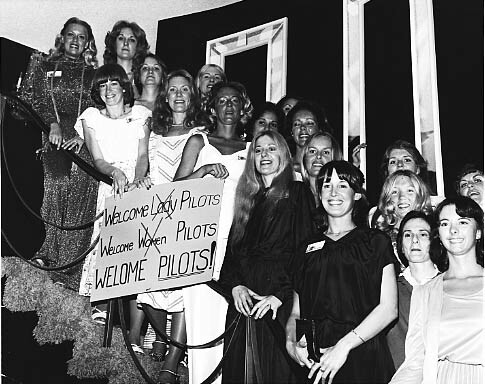 Jump seating on a Pan Am 747 along with another United woman pilot. The captain had never had one woman pilot in his cockpit, let alone two! 1989 Maui: sharing a condo with five other United ladies. Does anything really need to be said about Hawaii!? 1990 Washington, D.C: dinner at the Saudi Embassy! Sitting on the floor in our cocktail dresses. 1991 Helsinki: first convention my husband attended. Cruising on a Russian tramp steamer to St. Petersburg. Having creamed peas for dinner on the ship and again at breakfast the next morning! 1992 San Francisco: attending hilarious dinner theatre. 1993 Atlanta: getting inducted into the Captain’s Club with Emily Warner presenting my plaque. 1994 Vancouver: Alaska cruise with my parents for their 50th Anniversary. 1995 Bangkok: the above mentioned elephant ride plus rafting down a jungle river on a bamboo raft, as Nancy Novaes floated by, asking if I thought we’d still be having these adventures when we were old (yes!). 1996 Fort Worth: riding the mechanical bull at Billy Bob’s! DC-3 ride to Galveston. Dinner at the Johnson Space Center with several astronauts. 1997 Amsterdam: Ah the tulips at Keukenhof Gardens! The wonderful evening at the aviation museum. 1999 Cyprus: dinner and street dancing in a beautiful little Greek town. 2000 Costa Rica: flying my Debonair down there was a huge adventure as was having to land at a Mexican Air Force Base without permission on the way home, when we developed a huge oil leak! The volcanoes, the weekend at Torteguero National Park with the howler monkeys. 2001 Anchorage: my favorite layover destination. Once again, we flew our airplane there. Flying the Al-Can highway is a wonderful adventure. 2002 New Orleans: all still suffering shell-shock from the aftermath of 9-11. Beautiful hotel in the famous French Quarter and wonderful dinners at some of the city’s great restaurants. 2003 Zurich: the enormous beauty of Switzerland. Spent extra days there driving around the country, and had to stop at Liechtenstein. Took 20 minutes to drive the length of that country! Side trip to Zermatt, at the foot of the Matterhorn. 2004 Phoenix: outdoor dining and country dancing in the desert. 2005 Boston: harbor cruise & dinner. Walking the Freedom Trail with Kathleen Malone. 2006 Kona: ah Hawaii again! Beautiful sunset dinner with friends. Dolphins at the hotel, all-day big island tour. Spending time on Kauai before the convention. 2007 Park City, Utah: Zip line and target shooting at Olympic Park. 2008 30th Anniversary, Ft. Lauderdale: Everglades Airboat Tour, Parrot Jungle Tour. 2009 Montreal: beautiful city, great side trip to Quebec City. Bus broke down on way back to Montreal! 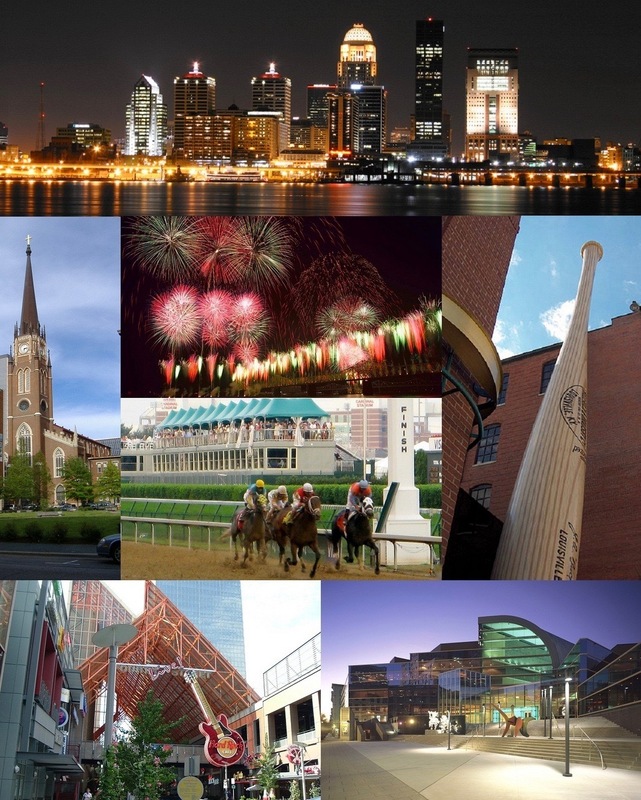 2010 St. Louis: first convention I ever drove to as it was only five hours from my house and easier than getting there on the airlines. Bones, Blue Owl and Boeing tour. Loaded up my Explorer with friends and drove south to the Cave Winery. 2011 Ah, Rome again! Left a week early for a train tour of Munich, Venice, & Florence with the husband. Tour of the Vatican & Sistine Chapel. Side trip to Pompeii and Sorrento. Didn’t want it to end! 2012 Seattle: another favorite city. Fabulous tour of Boeing. Seeing my cousin, a Boeing engineer, for the first time in about 20 years. I’m planning on making the next 25 conventions—hope to see you there! 2013 Budapest... will any of us forget being on Castle Hill with wonderful views of Pest?! Or the incredible, delicious welcome reception dinner?! 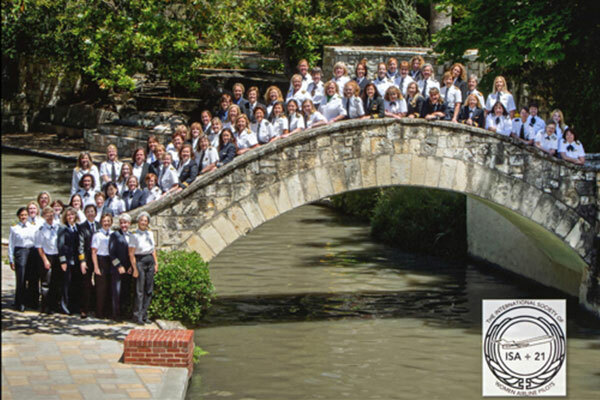 2014 San Antonio: How many Type As does it take to arrange a photo op? Thankfully the photographer had his own agenda and the bridge photo is one of our best! 2015 Berlin: The history! The tour around (and around) trying to find the airport! Segwaying in Dresden along the Elbe! Oh what a conference! 2016 Newport Beach: California sea lions and John Wayne's yacht. Beautiful Santa Barbara side trip... unforgettable... and you thought you had seen southern California! 2017 Toronto: What a beautiful city! The comedy club was so fun, and the sidetrip to Niagara Falls was breathtaking! 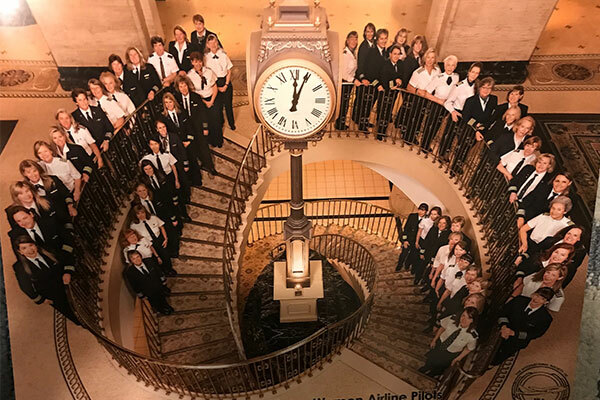 Our clock tower photo is another photographer win/win! 2018 Las Vegas: A great time was had by all with a wonderful presentation by Beverley Bass and Terry Rinehart. A dam tour, followed by a beautiful, albeit hot, boat ride on Lake Mead completed our 40th. 2019 Sydney... the best is yet to come!